Dr. Scheiner is dedicated to the practice’s philosophy of providing modern dermatologic care in a pleasant and compassionate environment. Dr. Scheiner believes that each patient is an individual and that the most important element to successful treatment outcome is hearing each patient’s concerns. After listening to the patient’s concerns, she can then offer a treatment plan to address those specific issues. Staying current with advances in medical and cosmetic dermatology is a driving force in Dr. Scheiner’s professional life. 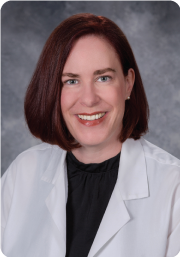 Dr. Hostetler enjoys a fulfilling private practice where she is able to blend general and surgical dermatology with cutting-edge, progressive cosmetic dermatology. Dr. Hostetler’s primary focus during her studies and career has been with skin cancer and the effects of sunlight on the skin. Her PhD research at the University of Texas MD Anderson Cancer Institute explored how sunlight interacts with the skin to produce and promote skin cancers and the response of the immune system to sunlight-produced cancers and skin aging. Dr. Boucher is particularly sensitive to patients’ needs and concerns regarding skin care and the challenge of chronic skin conditions. Dr. Boucher’s top concern with her patients is their comfort in knowing that they will receive the finest, most up-to-date care in a hassle-free environment. 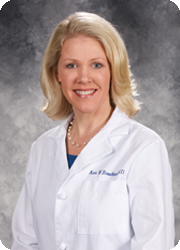 Dr. Carroll, a board-certified dermatologist, is dedicated to the pursuit of clinical excellence in the practice of medical and surgical dermatology. She enjoys establishing personal relationships with her patients and helping to relieve any anxieties by ensuring all concerns are thoroughly addressed. In her spare time, Dr. Carroll enjoys hiking, gardening, scrapbooking, reading and traveling with her family. 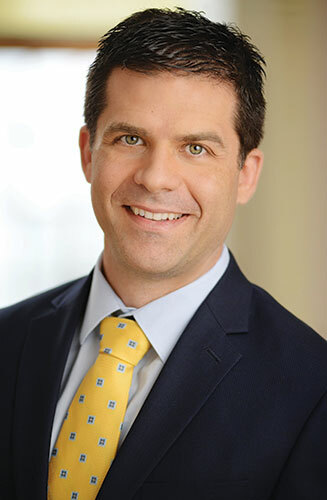 Dr. Gregory B. Persichetti is a fellowship-trained skin cancer surgeon/reconstructive specialist and board certified dermatologist. He trained under Dr. Roger Ceilley, who was trained by Dr. Frederic E. Mohs himself, the founder and originator of the highly acclaimed Mohs micrographic surgery procedure. Dr. Persichetti received his medical degree from the Lake Erie College of Osteopathic Medicine in Erie, Pa. He subsequently completed two years of internal medicine at Mercy Hospital of Pittsburgh, followed by a three-year dermatology residency at Nova Southeastern University in Ft. Lauderdale where he served as Chief Resident. A former NCAA collegiate athlete in hockey, football and tennis, Dr. Persichetti still enjoys sports in his spare time, as well as musical composition and performance. He is married and the father of three children. 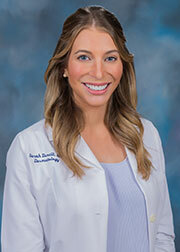 Dr. Sarah E. Tonelli is a board-certified dermatologist and native of the Brandywine Valley who specializes in medical dermatology for all ages and conditions, including acne, rosacea, eczema, psoriasis and skin cancer. She also performs routine skin cancer checks and has a particular interest in cosmetic dermatology which can be used to enhance beauty in a subtle and natural way. 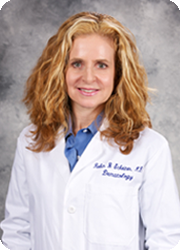 She is committed to providing an unparalleled level of care and offering the most up-to-date, research-supported treatments. Dr. Tonelli lives in Chadds Ford with her husband and two young sons. She enjoys exploring the countryside (and playgrounds!) of the Brandywine Valley. 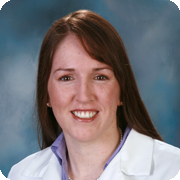 A native of Montgomery County, Erin Doherty is thrilled to be working with the team at Brinton Lake Dermatology. 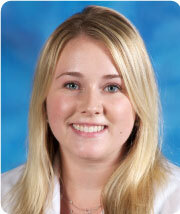 Erin began her career as a Physician’s Assistant several years ago and has worked in both emergency and critical care. Erin knew that she was meant for the medical field after spending a summer during college working in a hospital. The dermatology field was another draw for her, as she recalls concerns that she experienced with her skin as a teenager. “I’ll never forget my own trips to the dermatologist and how she helped me with my issues. Now I have the opportunity to help my patients feel more comfortable with their own skin.” Erin says the best part about her role as a Physician’s Assistant is being an integral part of a team — everyone working together to find the best solution for the patient. From an early age, Delaware County native Theresa Kueny had a strong interest in the field of medicine. As a high school student, she provided critical medical services by becoming certified and volunteering as an emergency medical technician and fire fighter. She received her a bachelor of science degree at St. Joseph’s University and a master’s degree at Drexel University’s Hahnemann Physician Assistant Program. 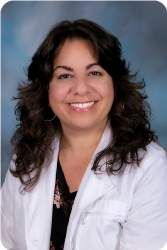 Theresa enjoys interacting with her patients and says that her goal is to provide a comfortable environment where the needs of each individual patient are met with a smile. When not practicing medicine, Theresa can be found cycling, painting, reading or working on a new recipe. 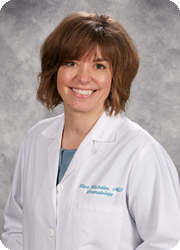 Originally from Northeastern Pennsylvania, Katie always knew she wanted to pursue a career in medicine. She earned her bachelor’s degree in biology at Bloomsburg University and went on to complete her masters at Marywood University. 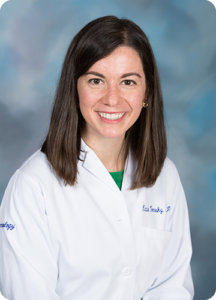 While Katie’s physician assistant career initially began in the field of urology, she soon switched to what she realized was her true passion — dermatology. She enjoys helping patients every day with skin conditions that not only effect the outward appearance but the person as a whole. In her spare time, Katie enjoys traveling, running and staying active, as well as spending time with her husband, family and friends. A registered nurse, Charlotte Gallagher thinks that nothing is more rewarding than helping other people look and feel good about themselves. Charlotte is so pleased that she is able to bring her extensive medical background to Brinton Lake Dermatology as a cosmetology professional. She enjoys guiding patients, many of them individuals she’s seen for more than a decade, throughout their “skin care trials and tribulations” and likes to utilize new methods and procedures she’s learned through continued education. When not at Brinton Lake Dermatology, Charlotte enjoys cooking, gardening, traveling and spending time with her husband and family, including grandchildren. 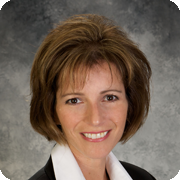 Lisa Bucci has a passion for helping others feel better about themselves and their skin. As an aesthetician, she is thrilled to be able to provide them with the tools and guidance that they need to improve and heal their skin — whether it’s educating them on the best products to use or taking them through a chemical peel. A native of Philadelphia, Dina worked as a law firm assistant for nearly 15 years before deciding to pursue a new career that would provide greater interaction with people. She completed a medical assistant program at the Technical Institute of Camden County and subsequently worked as a medical assistant in a dermatology practice in New Jersey where, she says, she “found her true calling” in cosmetic aesthetician services. Dina loves helping people and “making them feel good” by offering all sorts of dermatological cosmetic procedures, skin care product suggestions and treatment option advice.